Setup your confidential consultation today! Whether you are local or long-distance, you may set up your personal consultation at one of our offices or via phone or skype! I make myself available to you in as many ways as possible to help support your journey to Embrace a Better Life. My contact info is listed below. Click here to learn more and to watch our video. High performance means succeeding beyond standard norms consistently over time. High performance living is the ongoing feeling of full engagement, joy, and confidence that comes from consistently living from your best self. I’m certified in High Performance Coaching™, which is the highest form of high performance mentoring in the world. It is more proven, more tracked with a proven outcome. I’ve been trained in the exact process that our High Performance Institute instructor, who is a world leader in high performance and motivation, uses with his multimillion-dollar clients. I have the process for achieving high performance and I guarantee it. My life has changed dramatically after discovering this process and I am passionate about sharing it with others. This is universal personal development that will help anyone improve his or her life. When you become more energized in your daily life, everything becomes better. It’s our overall life that helps us be successful in each individual area. When you are fully engaged in various aspects of your life, and you have heightened levels of clarity, energy, and courage, this leads to a more positive outcome and higher levels of joy and productivity. When you become more energized in your daily life, everything becomes better. This process will help you achieve levels beyond where you are now because we focus on all of the proven key areas of your life including your psychology and physiology (mind and body) along with your productivity, presence, and purpose. This is not just accountability coaching, this is about me challenging you in ways that will empower you to achieve real progress and growth. Accountability comes in organically as part of the process. This is not just listen-based consulting. This is a challenge-based program where the outcomes are clear and measured as a result of the proven curriculum. This is about taking your life to a whole new level and we can begin to do this in just three months. 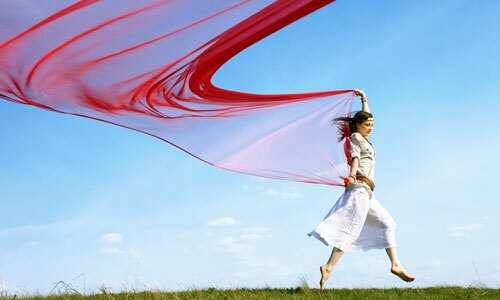 As a Health Counselor, I am your personal advocate for living an energized and passionate life. I work with my clients to help them create happy, healthy lives in a way that is flexible, fun and free of denial and discipline. By working together, we can discover the food and lifestyle choices that best support you. Making gradual, lifelong changes enables you to reach your current and future health goals. Imagine what your life would be like if you had clear thinking, energy and excitement every day. You will learn how truly simple it is during your personal consultation. Join me for a health consultation to discuss your unique situation in depth and determine how I can help you reach your personal goals. I am here to create a supportive environment while we explore what really works for you. Your personalized program will radically improve your life. Together, we will explore concerns specific to you and discover the tools you need for a lifetime of energy, joy and confidence. Find out by scheduling a confidential consultation.